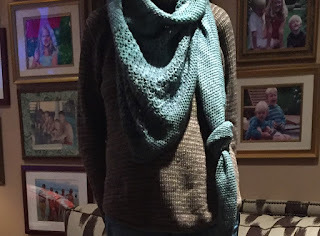 https://www.knitnscribble.com knitnscribble.com: It's a Magic Spring for Shawls! 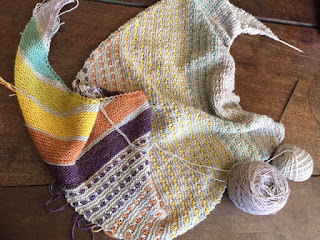 The hardest part in planning a multi-colored shawl is choosing pleasing yarn colorways. I was able to find five skeins of Manos del Uruguay "Serena" on Etsy at a savings of $30, so I'm using this "bosenberry" colorway and two other yarns from the stash for the Magic Spring Shawl. The second time around for Spice Market was much easier than the first. Those little bobbles drove me crazy on the first one. This time, I decided to up the needle one size on Row 1 of Section 3, and switch back to the smaller working needle when you need to k3tog on the next row. 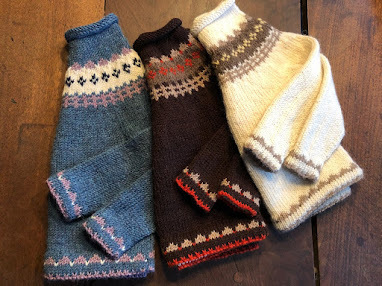 Knitting the bobbles is much less fidgety using this method. On the Spice Market shawl pattern link. My Sunwalker, using six skeins of Malabrigo "Finito" in Aguas colorway. Wishing you a glorious Spring! 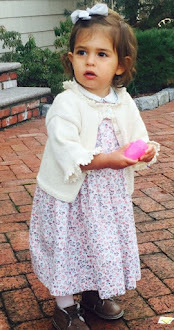 Magic Spring Shawl, free pattern link. More shawl knitting patterns on knitnscribble.com. 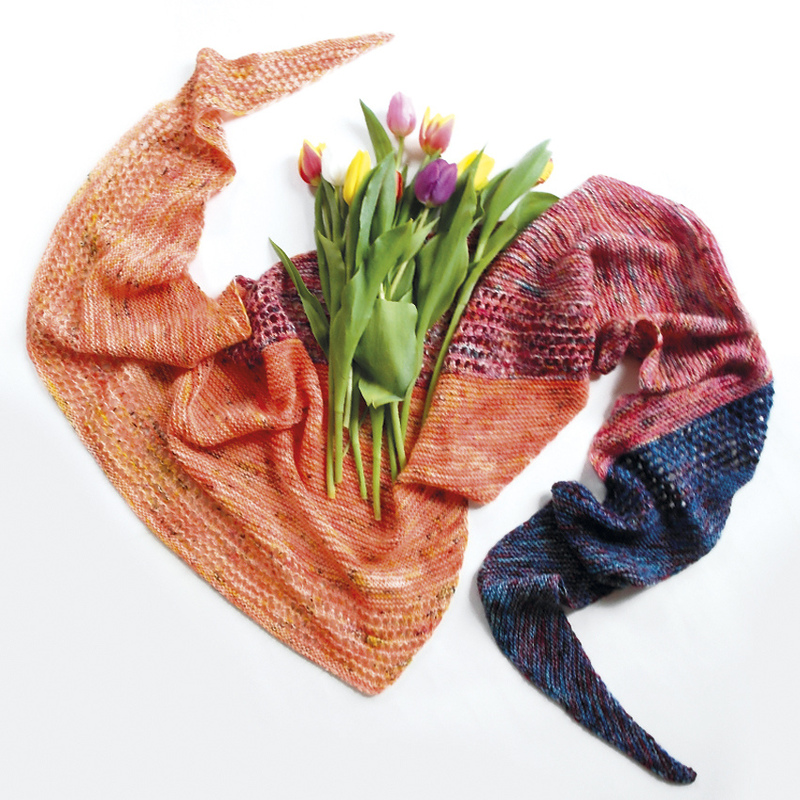 Magic Spring Shawl photos by Katerina Bobkova.